Last summer, when the Chicago Blackhawks shocked the hockey world by announcing a long-term contract with superstar forward Marian Hossa, the assumption in Chicago was that he was the missing link between the youngest team in the league and the Stanley Cup. He had been to two consecutive Finals on two different teams (Pittsburgh and Detroit), but was now committing the rest of his career to the city of Chicago. When he signed the contract, he had played 775 NHL games and scored 719 points (339 goals, 380 assists – 0.93 points/game). His 775 points (including last year and the beginning of 2010-11 in Chicago) ranks 12th among all active skaters. However, what fans didn’t realize is truly how special Hossa is as a player. Maybe it was because he had spent nearly his entire career in the Eastern Conference (seven years in Ottawa, two-plus in Atlanta, part of one in Pittsburgh and one in Detroit). 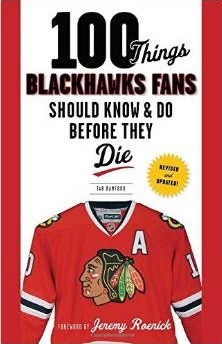 Perhaps it’s because Chicago had taken a decade-long break from caring about hockey until two years ago. Or maybe it’s because his name isn’t Crosby or Ovechkin. But fans in Chicago weren’t aware of just how good Hossa can be. The last time Hossa skated in 82 games, in 2006-07, he scored 100 points (43 goals, 57 assists). Last year, in just 57 games with the Blackhawks, Hossa posted 51 points (24 goals, 27 assists), but wasn’t fully healthy throughout the season; he was out until Thanksgiving because of major shoulder surgery the previous summer, and still managed to register almost a point-per-game. He tied for an NHL-best five short-handed goals last year, and added two game-winners while finishing the regular season with the best plus-minus (+24) on the Hawks. Now he’s healthy, and we’re starting to see just how good Hossa can be. After three games he is tied for the NHL lead with five points playing next to Jonathan Toews and Tomas Kopecky. While coach Joel Quenneville continues to mix up the lines for the Hawks, Hossa continues to produce at an exceptional rate. He is one of the best two-way forwards in the game, and is displaying his incredible ability on a nightly basis now. If you want to see something special, keep an eye on Hossa this year. Nice article Tab. During the playoffs I was telling new hockey fans that just because Hossa wasn’t hitting the back of the net he was still one of the best skaters on the ice for the Hawks. His game is so complete and his talent world class that even when the goals aren’t in the stick he can still influence the game. If Hossa stays healthy this year, I won’t be surprised to see him hit the 50 goal miletsone. That swat-in puck is still one of my fave goals ever. Knew him getting the SC monkey off his back was going to make big diff for him this year! Very excited to see what he’ll do this season.